The Liberty Valley Farm consists of 567.4 total acres per the Farm Service Agency records. It is located in the heart of White County just 18 miles northeast of Searcy, Arkansas. This property is a duel agricultural and recreational investment. It has been highly improved for rice and soybean production which include land leveling, a surface water reservoir, tail-water recovery system, substantial drainage, and internal access roads. From the recreational standpoint the farm offers all weather access via Frackin Road; there is a solid steel gate located on the northern portion of the property to limit access only to authorized users. The farm immediately adjoins the Bald Knob National Wildlife Refuge (15,000 acres) and is less than three miles from the Henry Gray Hurricane Lake Wildlife Management Area (17,000 acres). 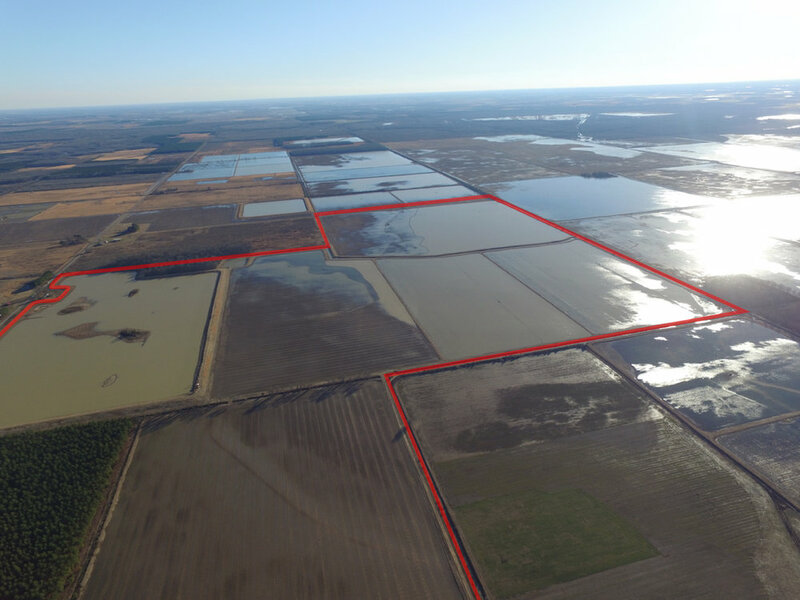 There are six (6) sunken steel duck pits strategically located on the property, and the reservoir provides excellent opportunities for waterfowl hunting. Deer hunting is also provided along the field line, adjacent to the Refuge and the pine plantation provides a great sanctuary for the farm’s deer herd; during the rut or high water it is not uncommon to see new deer on the property coming from the neighborhood wildlife refuges.